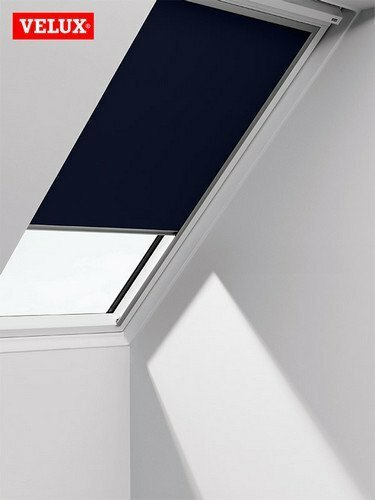 All original VELUX® Blackout Roller Blinds are made of 100% polyester and are strung on the back with a thermal coating on the reverse side coated, this ensures the angle tightness, even in bright decorations such as plain white. Ideal for bedrooms and children's room as it the room completely blackout when needed and the light regulated during daylight. The decorative design tissue is resilient, durable and is comfortable to wear with a soaked cloth to clean. You will find all other dayglo products around the privacy and sun shield to Glo-Brite card in our online shop Rolloworld.